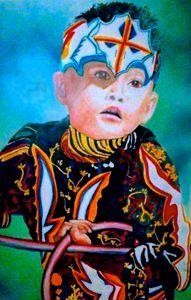 This is a painting of a Native American boy who was dancing at a Pow Wow in Arizona. 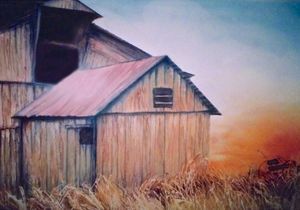 My grandmother, Lynda Breen passed away this year (2015), leaving her artwork behind. She was showing and selling her prints for many years. 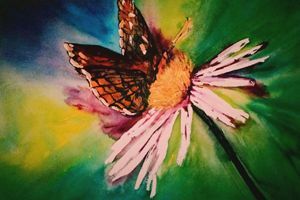 Now, I am continuing her art and keeping her memory alive by showing and selling her prints. 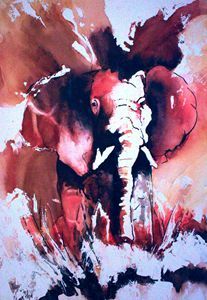 She has over 100+ fabulous paintings, from using acrylics to watercolors. 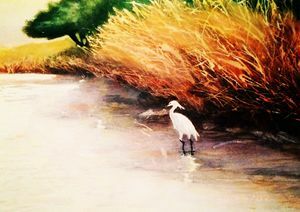 Please view Lynda's artwork by clicking on the gallery.